Keeping your teeth healthy is always necessary, which would not just enhance the health care overall, but also would prevent any major oral infections from happening. Teeth are needed for the entire lifetime, and it is the gums, tongue and the other bone that has to be well maintained if the entire oral health is to be kept healthy. Check out the Dental Health Guide to learn how you can maintain a good oral health. Apart from the general guidelines that have to be followed by every person in maintaining a good oral health, there are a few aspects that everyone has to keep in mind while trying to have a good oral health and keeping the teeth healthy. From the start of development of a child, i.e. from the pregnancy stage, a mother should take care of all the elements that are essential for the dental growth of a child. One of the important factors is Calcium, Vitamin D levels. After the child is born, the fluoride supply apart from the Calcium and Vitamin D too has to be kept optimum, while trying to keep the oral hygiene maintenance well on time. Sugar, importantly sucrose is one of the main culprits in causing a tooth decay, but there are a lot of other sugary substances which does the same thing. Apart from the sugary foods, it is the starchy food which plays an important part in contributing for tooth decay. The starch that is in foods, gets reacted with the Amylase enzyme in the saliva, thus resulting in formation of acids which may erode the enamel layer, which eventually make the teeth more prone to tooth decay. While the reaction between the food and the Salivary amylase enzyme occurs, the resulting process is called acid bath, and if this prolongs for a long time it may lead to more damage. Dried fruits too cause tooth decay, because apart from being dry and non-juicy, they are full of sugar and they stick to the teeth surface. One of the best foods to have – Fresh Fruits. It is always a known fact that the fresh fruits are sweet but the acidic content of theirs is not a cause for any problem to the teeth. The fresh fruits like Apples instead would help in stimulating the salivary glands in producing saliva and keep the mouth moist, which would reduce the building up of the bacteria which cause the cavities. *Note: An important fact to keep in mind is that you need to brush your teeth and keep the mouth entirely clean if you had anything sweet before going to sleep. Because, along with the sweet food being reacted, the self-cleansing property of the mouth is less because at nights the mouth is dry as the salivary flow is less. Gum disease is something that can occur majorly due to the poor oral hygiene, or because of having a poor diet. The problem occurs even due to some general diseases like AIDS, and malnutrition and in people who consume alcohol. Even though one would assume AIDS to be producing bigger problems in the entire body, gum infections are diseases are common. Teeth become loose not because of the gums, but due to the poor support from the underlying periodontal tissues, and the jaw bone. Everything to be maintained well, needs the very basic practice of toothbrushing, flossing and tongue cleaning. The initial stages of gum inflammation is called Gingivitis, and if that is left untreated, it may lead to Periodontitis, where the treatment and prognosis would depend on the severity then. 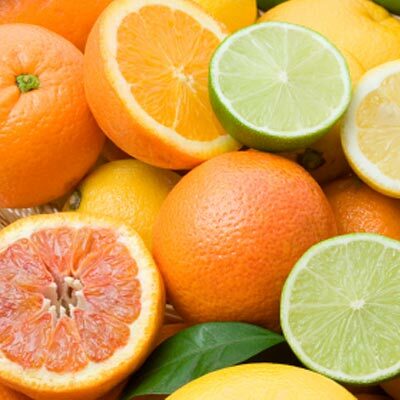 Bleeding of the gums is also an indication that you might be having a less intake of Vitamin C, and you can have more of fresh fruits and vegetables, and the citrus fruits too contribute a lot in providing Vitamic C to the body. 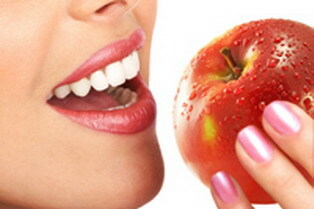 Food as said above too, is something important for maintaining healthy teeth, gums and bones. The teeth can be protected by concluding foods that do not contribute in promoting cavity formation. Sugarless chewing gums are a good way in keeping the mouth active, thus wet with saliva and this helps in flushing out the food particles from the hard-to-reach areas with the continuous movement of the mouth. Aged cheese also helps in keeping the cavities and the causative bacteria away, and it is suggested to have it after having your dinner. Fresh Fruits and Vegetables which would help in providing Vitamin A and Vitamin C for the good health of the gums. Citrus fruits like Orange, lemons have high content of Vitamin C.
Tea is a good source of Fluoride, but do not make a habit and overdrink it. Although we named it “what not to consume”, don’t keep yourself totally away from these foods but only take some care after you consume them. Sweet drinks, when consumed have got a lot of potential of causing caries, so after you have such drinks you may take some water and rinse the mouth. healthy teeth required healthy food germ protection.nice post i have gain information more.Thanks. If you want keep your teeth healthy for long time and also want to maintain good oral care,then this is perfect blog to get more tips on keep your teeth strong . really very good article and shared helpful information for us.